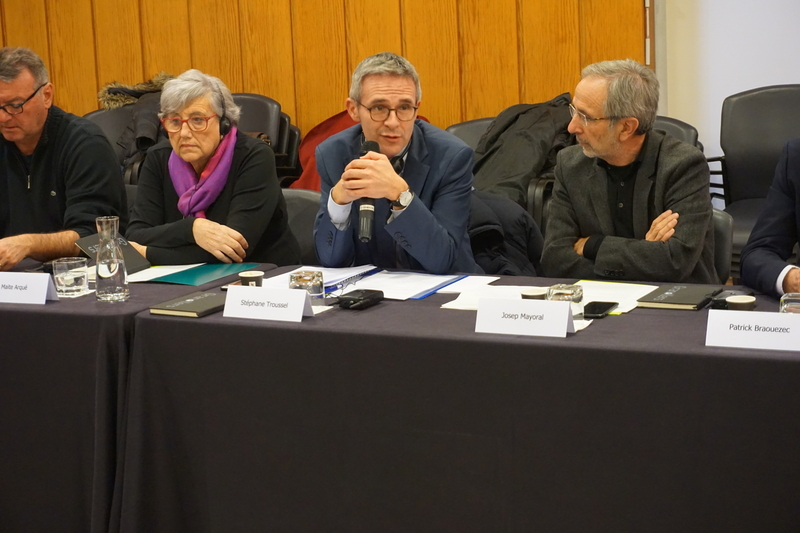 A delegation from the Seine-Saint-Denis, Plaine Commune and Saint-Denis (France) visited the city of Granollers (Spain) on 26 and 27 November in order to meet with its Mayor, Josep Mayoral, as well as former Mayors, Councilors and officers of Barcelona and its metropolitan area (l’Hospitalet de Llobregat, Badalona, Diputació de Barcelona). 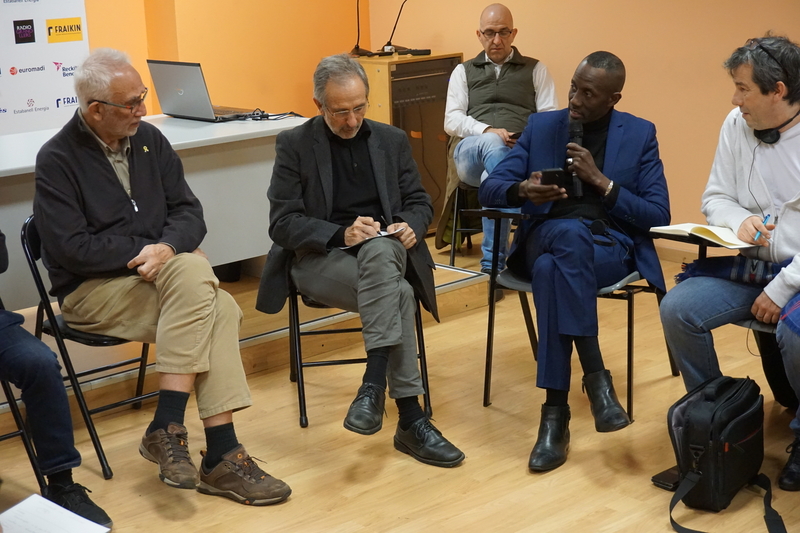 The main aim of this delegation was to establish contacts and to develop specific learning exchanges on the lessons learnt by Barcelona and its neighboring cities during the organization of the 1992 Olympic Games, in view of the organization of the 2024 Olympic Games (which will be held by Paris and its metropolitan area, including Plaine Commune and Seine-Saint-Denis). 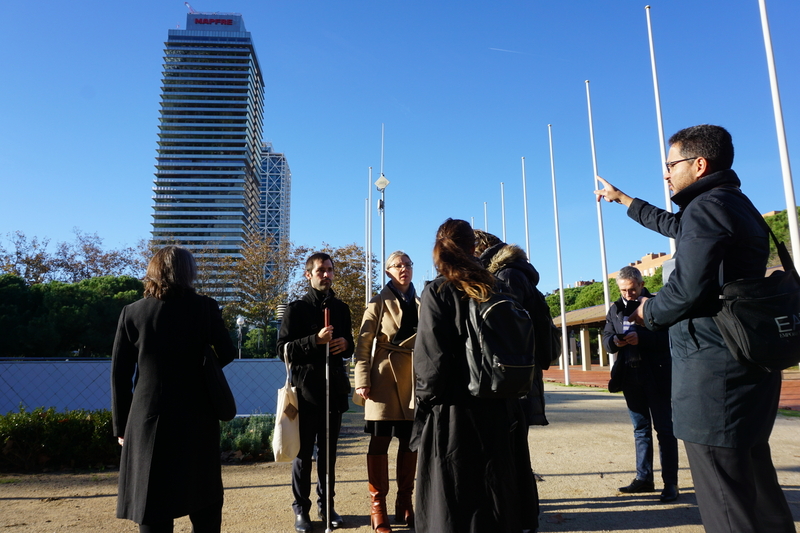 In its second day of visit, the French delegation could enjoy a field visit to the neighborhoods of Poblenou and Vila Olímpica of Barcelona, renewed on the occasion of the Olympics. 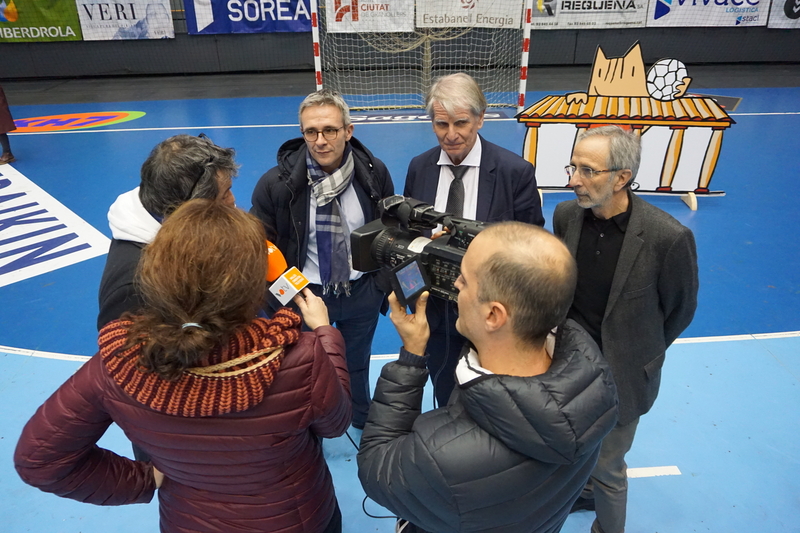 The visit to Granollers (November 26) began with an exchange between different technical representatives and politicians, to then pay a visit to some municipal facilities built in the city during the 1992 Olympic Games (since the city was a sub-seat of the 1992 Olympics’ handball championships). 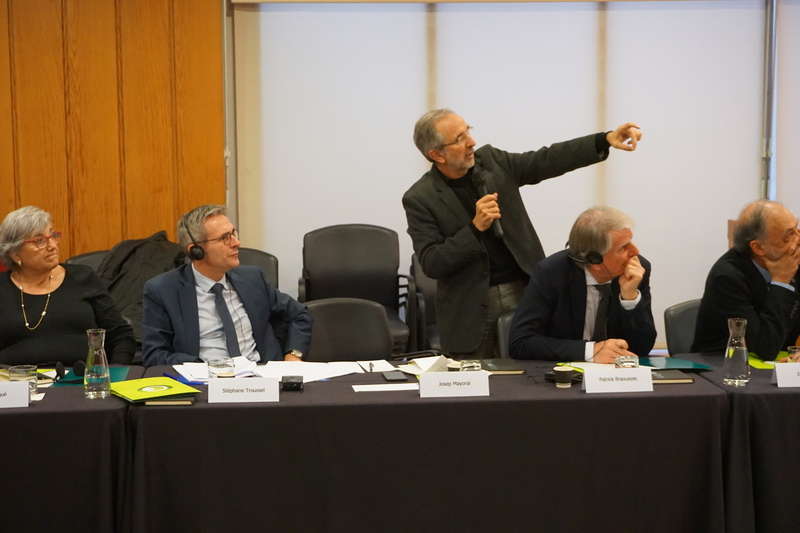 The French delegation was welcomed by Granollers Mayor Josep Mayoral, in a session held in the city’s municipal council. The morning session was facilitated by Enric Truñó (former municipal councilor of Barcelona in sports and in charge of the organization of the Olympics), and focused on the decentralized structure of the 1992 Summer Olympics, which highly relied on multi-level cooperation schemes and a good level of cooperation between Barcelona and many of its neighboring municipalities. According to Mayor Mayoral, “generosity and the ability to weave alliances between public administrations were key elements in achieving a successful organization of the 1992 Olympics”. Mr. Mayoral also highlighted “the strong territorial and participatory nature of the event”. The representative of l’Hospitalet de Llobregat, Sergí Crespí, shared on the other hand the experience of l’Hospitalet during the Olympics: a metropolitan city that managed to take advantage of the Olympics by cooperating with its “big neighbor”: “Despite territorial inequalities, we managed to work with Barcelona and this allowed us to reinforce our identity as a city. Organizing the Olympics helped Barcelona to exist on a global level, and l'Hospitalet to exist at the metropolitan level”. A similar experience shared during the event was the one of Badalona, as recalled by its former Mayor Maite Arqué. Ms Arqué noted how her municipality took advantage of the Olympics in order to enhance the infrastructure of sports that already had a solid grounding in her city, such as basketball (Badalona has a first-class basketball team, while Granollers stands out in handball). Enric Truñó intervention helped provide, on the other hand, an overview of Barcelona '92 through overall urban, logistical and sports transformations undergone during the Olympics, but also exploring the political vision that helped ensure the success of the event and its future legacy. 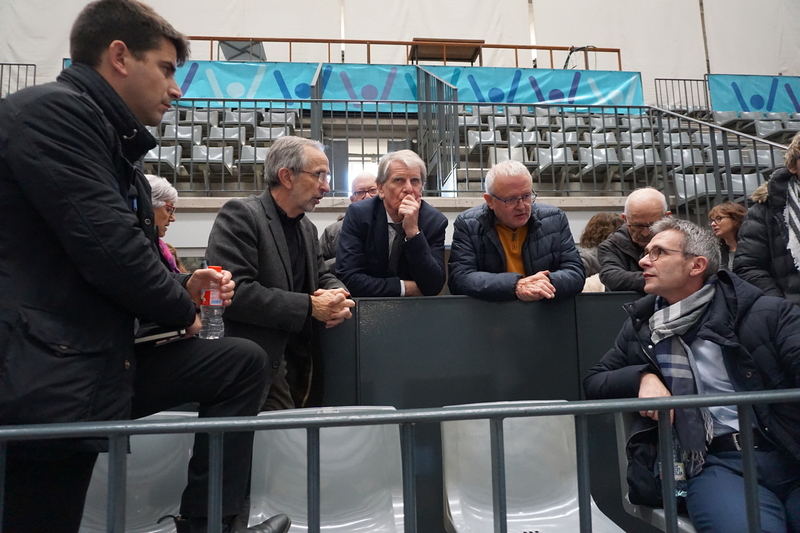 On the afternoon session, Mr. Mayoral accompanied the French delegation to the municipal sports palace, built for the 1992 Olympics, and which has later been re-used as headquarters of the local handball team, the Fraikin Granollers. On this occasion, the debate focused on two other key elements of the Olympics, such as the engagement of local citizens in the Olympics, the crucial role of “Olympic volunteers” and cooperation schemes with other levels of government (as was the case of the Diputació Provincial de Barcelona). French delegates from the Seine-Saint-Denis and Plaine Commune were very satisfied with the visit to Granollers and the way Barcelona and its neighboring cities organized the 1992 Olympics. They also highlighted the historical nature of the 1992 Olympic Games for a country that, at that time, had only recently emerged from a dictatorship and where people wanted to open up to the world and actively participate in the improvement of their cities. For the Grand Paris (Paris metropolitan area), the 2024 Summer Olympics could play a key role to consolidate the realization of a just and integrated metropolitan area where all the inhabitants can benefit from this event. 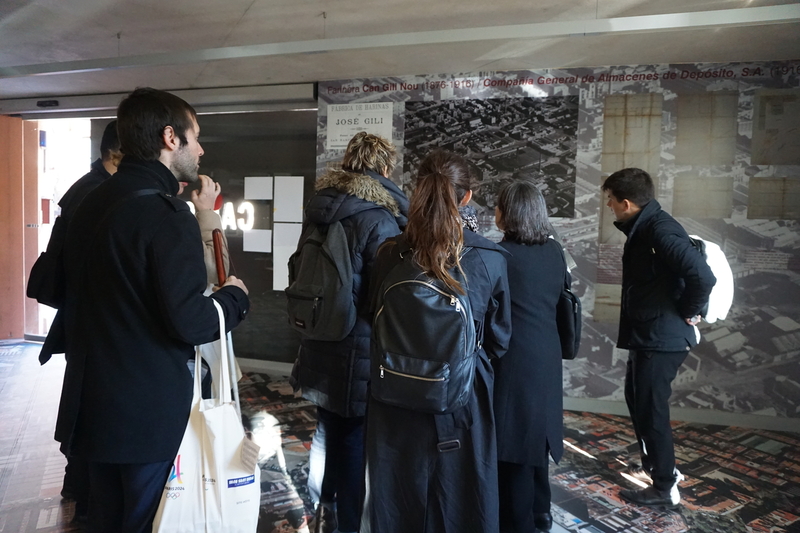 On the following day, French representatives had the opportunity to participate in a guided tour of the neighborhoods of Vila Olímpica and Poblenou; both of which benefited greatly from Barcelona's urban regeneration process undergone before the 1992 Olympic Games. Vila Olímpica and Poblenou are part of Barcelona’s District of Sant Martí, which maintained a strong industrial character for more than a century (being nicknamed at the time the “Catalan Manchester”). In the mid-twentieth century, the district suffered a severe process of degradation after the industrial crisis and the advance of shanty towns. The arrival of the 80s and the organization of the 1992 Summer Olympics helped the city to address this process through orderly and inclusive urban renovation programmes. During November 27 guided tour, the architect Àurea Gallen accompanied French delegates on their visit to the Olympic Village, built to house the athletes participating in the Olympics. This visit was important for the French delegates, given that the Plaine Commune territory will host the Olympic Village of Paris 2024. 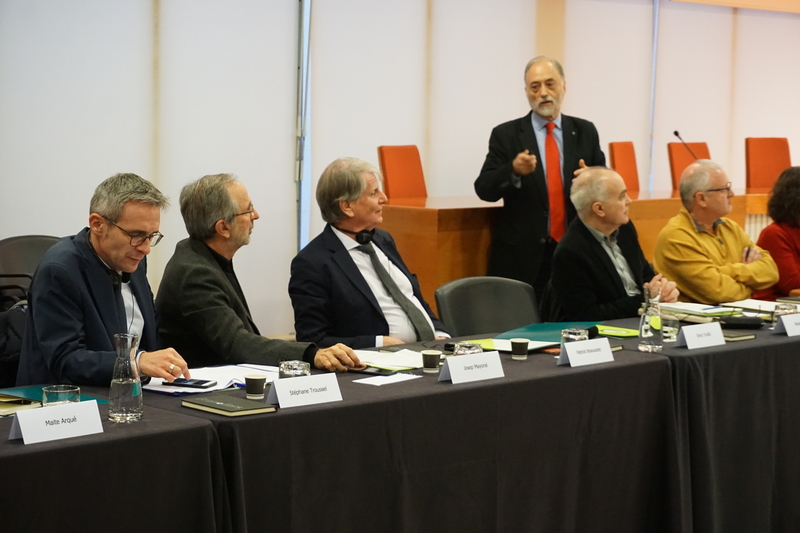 After this visit, members of the delegation also had the opportunity to learn more about road and rail infrastructures improvement programmes undergone on the occasion of the 1992 Olympics, as well as the complete renovation Barcelona’s seaside endeavored also in the same period. French delegates could also visit the neighborhood association of the Vila Olímpica. 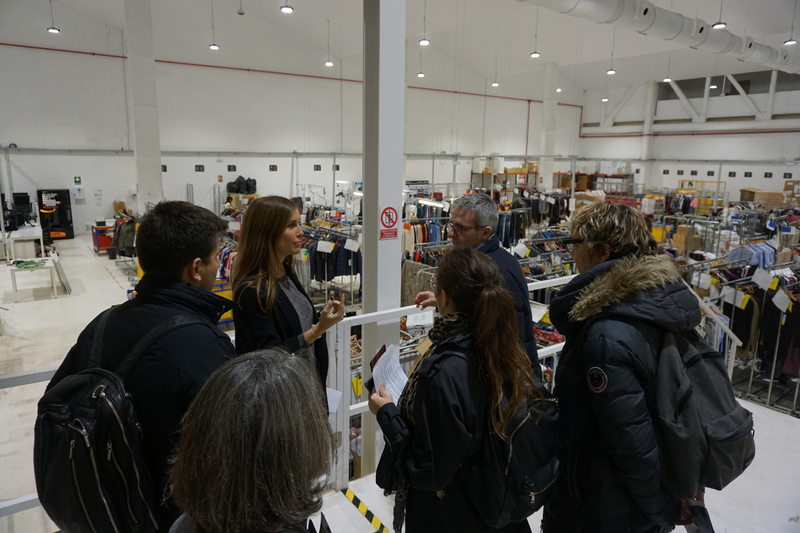 Later, delegates also had the opportunity to visit Privalia - Vente Privee: a leading company in the online sales sector, which was installed in the neighborhood following the district’s process of economic transformation towards digital economy and the telecommunications.